3M Performance Plus™ Twist on wire connector features steel spring construction with corrosion-resistant coating. It has flame-retardant polypropylene and thermoplastic elastomer insulation and accommodates conductor of size 22-8-AWG. 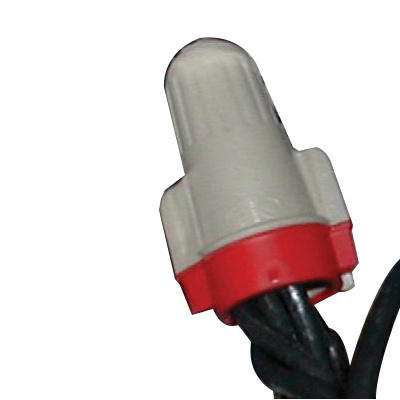 This 600-Volts rated wire connector electrically connects two or more conductor ends in a pigtail application and insulate the connection. Wire connector is UL listed, CSA/CE certified and RoHS compliant.